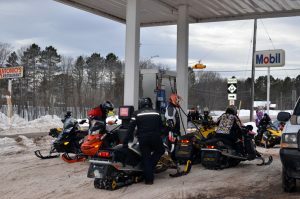 Snowmobilers make a pit stop at a gas station along M-28 in Bergland in Ontonagon County. Credit: Michigan Department of Natural Resources. The Michigan Department of Natural Resources is alerting snowmobilers to several trail closures in effect. Trails Nos. 124 and 133 in Keweenaw County are closed for the season because of active logging operations. Access to the community of Gay is available via Trail No. 122. Trail No. 132 in Keweenaw County is closed temporarily on the west half from Delaware to Lac La Belle for logging. There are no reroutes available. The trail is scheduled to reopen within the next month. Trail numbers 1 and 137 in Ontonagon County also have sections which are closed. 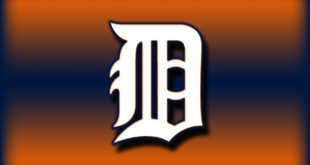 Credit: Michigan Department of Natural Resources. 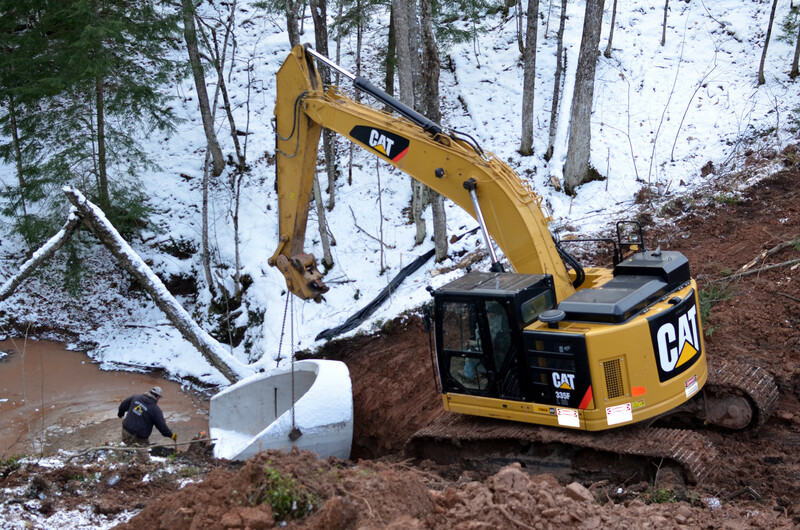 Culvert: A crew works to replace a culvert along Trail No. 137 near Rockland. The trail work is expected to be completed within the next week. Trail No. 8 – Marquette County: A section of this main east-west snowmobile connector route in the region is closed between Champion and the Baraga Plains for a bridge beam replacement project. 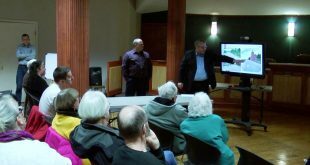 The bridge is scheduled to be re-opened in mid-January. Alternative routes are available to the north (Trail No. 5 to Trail No. 14) or south (Trail No. 5 to Trail No. 18). 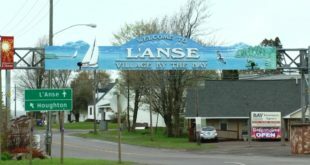 Access to Michigamme, Nestoria and Three Lakes will be available only from the west. Trail No. 1 – Ontonagon County: The north end of this trail is closed due to logging activity from the intersection of Trail No. 100 to Trail No. 8 (basically west side of Lake Gogebic). Lodges and cottages on the southwest side of the lake will remain accessible. The trail sponsor is working on a possible reroute. Trail No. 13 provides a connection between Trail No. 1 and Trail No. 100. Trail No. 8 is open on the east side of Lake Gogebic. Trails Nos. 124 and 133 – Keweenaw County: These trails are closed for the season because of active logging operations. Access to the community of Gay is available via Trail No. 122. Trail No. 8 – Chippewa County: A section of the trail from Paradise to Raco is temporarily closed from Paradise, south to the mouth of the Tahquamenon River due to a great deal of water from recent rains, and a lack of cold temperatures and snowfall to help freeze over the swamp. There are no reroute options in this area. The trail will reopen once the water freezes. Trail No. 2 – Schoolcraft County: A 6.3-mile closure is in place from M-77 to the Manistique River Road. A low area known as “Bear Creek Swamp” has a great deal of water from fall rainstorms. The duration of the closure will depend on cold temperatures and snowfall. Trail No. 137 – Ontonagon County: This trail is closed on its south end near Rockland, north of Cemetery Road for a large culvert replacement project. This work should be completed within the next week. There is no designated reroute. Access to communities is available via Trails Nos. 12 and 13. Trail No. 132 – Keweenaw County: This trail is closed temporarily on the west half from Delaware to Lac La Belle for logging. There are no reroutes available. The trail is scheduled to reopen within the next month. Trail Nos. 11N and 11S – Gogebic County: Trail No. 11N is closed this season due to a loss of private land access permission. A reroute is being sought. Trail No. 11S is closed while the trail sponsor works on necessary improvements for potential re-opening this season. Trail No. 766 – Antrim County: The trail is closed due to washout conditions from last year. There is no viable reroute. Trail No. 47 – Crawford County: There are military training sessions planned for February near Snowmobile Trail No. 47, in the area west of Bald Hill Road to Stephan Bridge. Some forest roads will be closed to snowmobilers and civilian traffic, please respect the closed gates. Trails No. 487 and ‘Skyline’ No. 489 – Crawford and Roscommon counties: The trail is closed due to loss of connectivity. 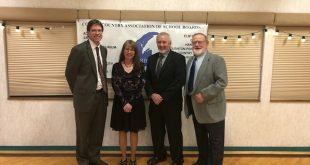 Trail sponsors and the DNR are working to establish a new connection. Visit www.michigan.gov/dnrclosures for the latest updates on these and other closures and trail reroutes. Information on intermittent closures may not be posted. There are nearly 6,500 miles of designated snowmobile trails in Michigan. More than half of these trails are located on private land and, in recent years, approximately 400 miles of trail closures have occurred on these private lands because of excessive trespassing (not staying on the trail) and modified exhausts (loud pipes). Please respect the rules. For more information on snowmobiling in Michigan, visit the DNR’s webpage atwww.michigan.gov/snowmobiling. The Michigan Department of Natural Resources is committed to the conservation, protection, management, use and enjoyment of the state’s natural and cultural resources for current and future generations. For more information, go towww.michigan.gov/dnr.